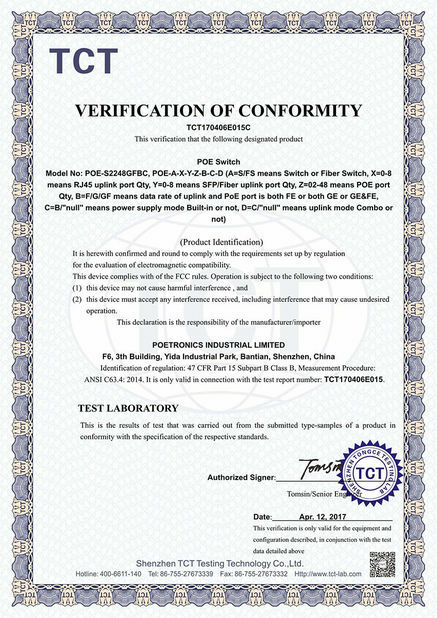 We have solutions below to control the quality of final POE and CCTV related products in the whole process of production, just make sure the goods delivered out of our factory are reliable in quality and performance. 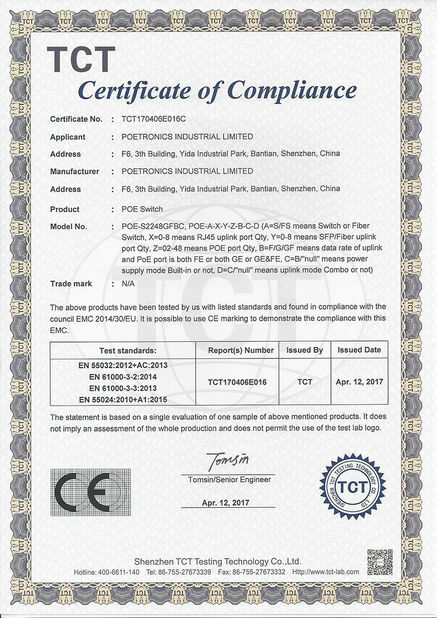 Finally, QS (Quality Safety) is based throughout the whole process above, because we take our end customers’ safety as our most important job as we take quality as our company lifeline. 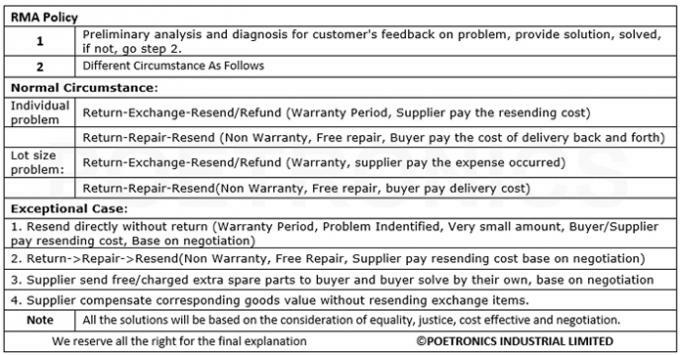 POETRONICS also build based on customer’s long-term credit and support. 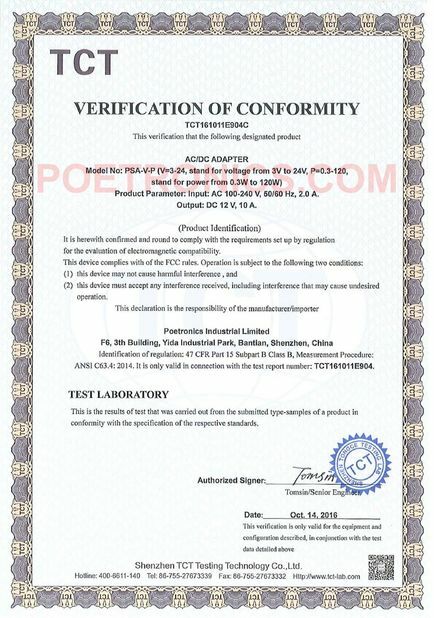 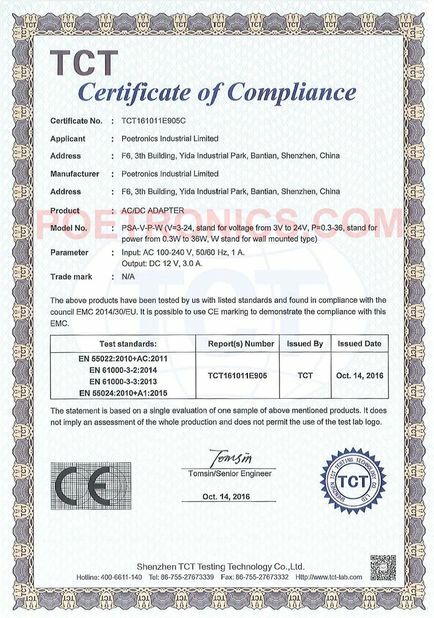 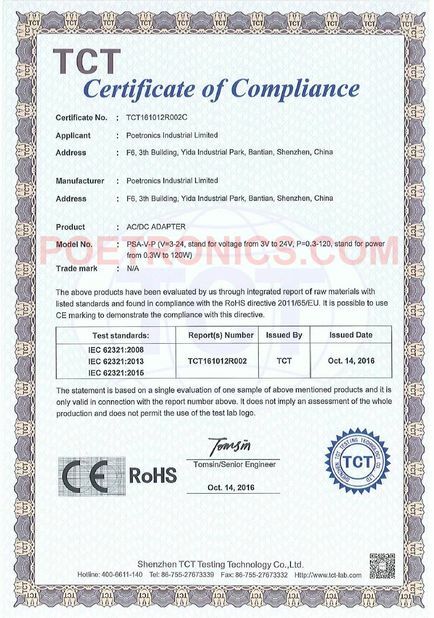 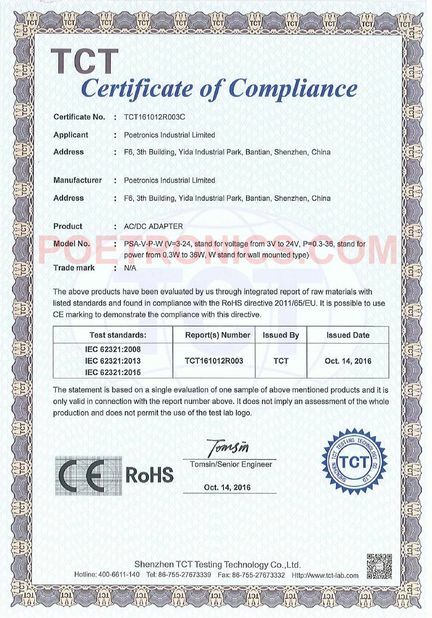 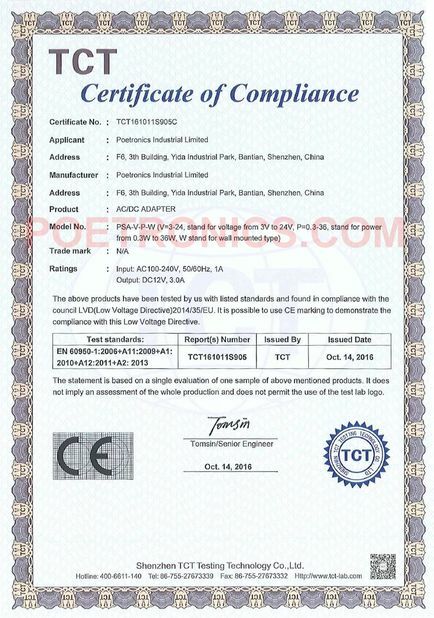 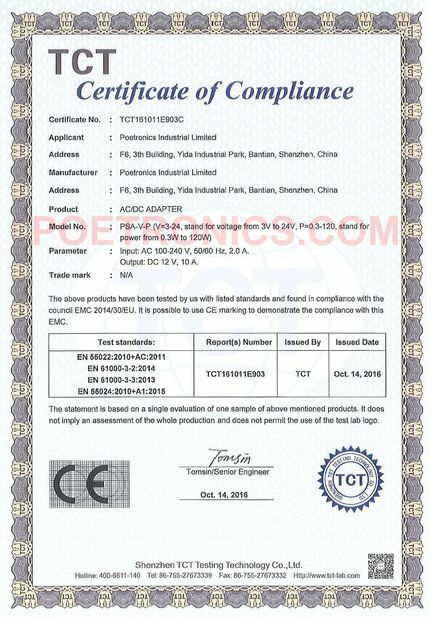 QC is necessary for every production company, on the other hand, POETRONICS also dedicate to the implementation of Quality Assurance throughout the PLC (product life cycle). 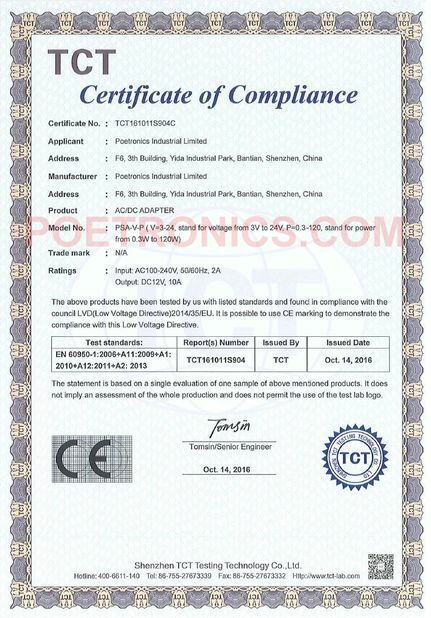 More and more examples show some inadequacy for QC only as in most cases, we are passively to accept the fact that the product is problematic and solve it directly accordingly. 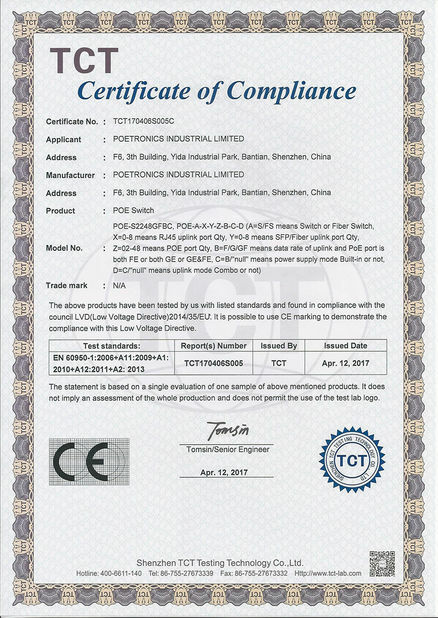 Alternatively, we focus on prevention of defects from coming into existence in the first place than it is to detect them, fix them and then to test again to detect any negative impacts the fix may have had on the product. 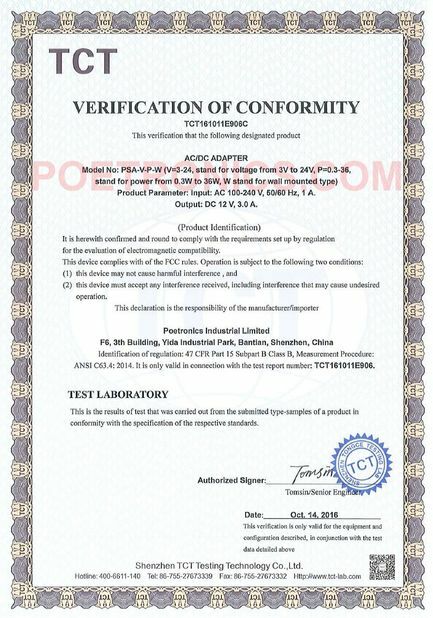 So, what we focus on is a concept QA (Quality Assurance), it’s a practice and a process that not just a single activity of testing. 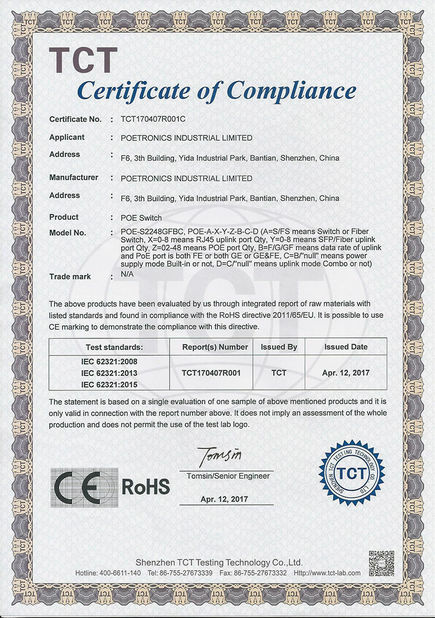 Everybody in POETRONICS has a role in Quality Assurance and takes accountability for their role in assuring quality.